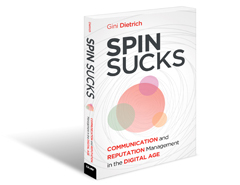 A few months ago I wrote a series of articles about how to best communicate difficult, challenging, or negative messages. 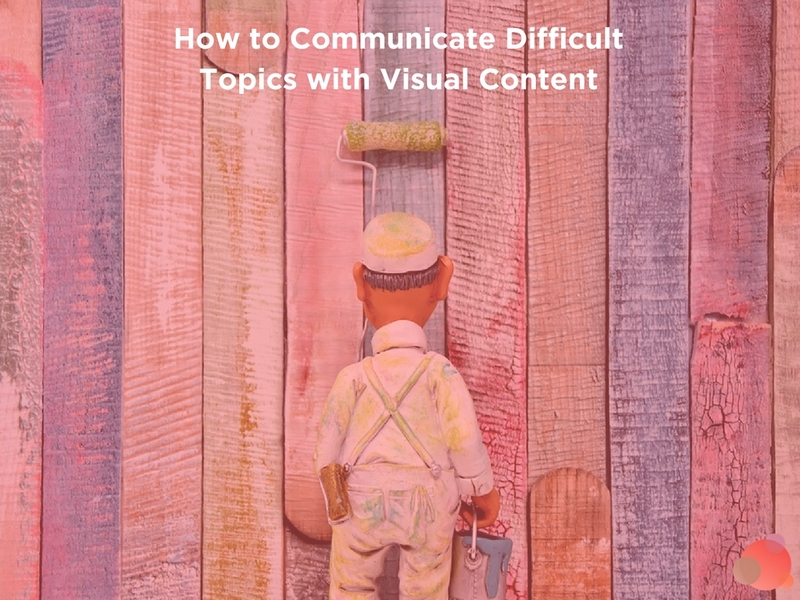 Today I’m going to continue on that same theme, but speak specifically to how visual content effectively translates difficult messages and communicates challenging topics. The power of visual content isn’t a new concept. As communicators, we’ve been hit over the head with the whys, hows, and statistics of visual content for years. We use it to complement our written content: images in a blog post, for example. Rely on a formulaic template: Infographics, how-to videos, flow-charts. But there are so many additional ways to use visual content. And specifically, when trying to translate a difficult message, creativity around how we use visual assets is extremely powerful. 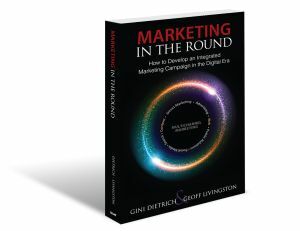 But why is visual content so effective for difficult messages and topics? Vision recall trumps all other senses: we remember pictures better than any other stimuli. According to John Medina, neuroscientist, and author of Brain Rules, if we hear a piece of information, we will remember 10 percent three days later. But if we add a picture recall goes up to 65 percent. Our brains process images more efficiently: likewise reading text is inefficient compared to seeing a visual. Mostly because our brains translate text by seeing it as a lot of tiny pictures. We process images 60,000 times quicker than text. People prefer images: four times as many consumers prefer to watch a video about a product than to read about it. And eye-tracking studies show people pay closer attention and spend more time looking at information-carrying images than reading text on the page. Images are universal: for the most part, images are universal and can be understood equally, regardless of cultural, geographical, ethnic, or language differences. Images also avoid the nuance and word association challenges of text content. Our brain structure doesn’t lie: the majority of our sensory cortex is devoted to vision, meaning our brains are primarily image processors, not word processors. As a result of this, research shows visual images decrease learning time, improve comprehension, enhance retrieval, and increase retention. In short, visuals help us avoid many barriers text communications put up when it comes to difficult messages. They set a scene, communicate a lesson, tell a story, and break down stereotypes in an effective way. Sexual harassment training is something every HR person panics about and many employees groan over. Not because it’s not needed or important, but because it’s incredibly challenging to present it in a way that’s useful, relevant, and not just full of fear tactics. Most current training either leaves everyone scared to say anything to anyone or is so ambiguous it’s useless. When HR consultants Tina Todd and Nikki Larchar investigated why current training wasn’t working they discovered there weren’t any resources to help educate on what to DO if you’re harassed or if you see someone else being harassed. They wanted a way to provide guidelines and guide employees through scenarios without them tuning out or shutting down. Thus “Define the Line” was born. 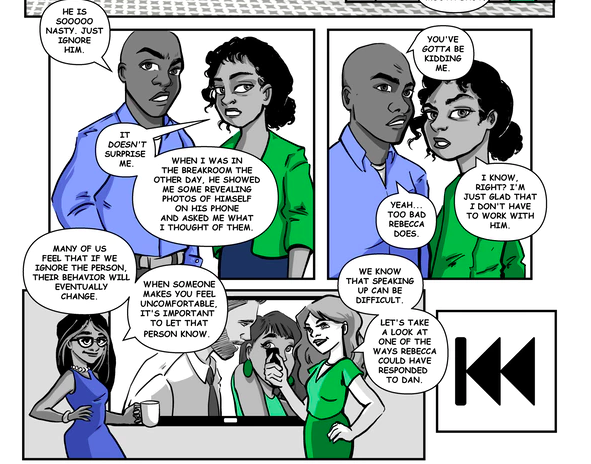 “Define the Line” is a workplace harassment training tool in the form of a comic book. After doing significant amounts of research on training methods and educational tools, we found that comic books are great tools in a variety of ways. First and foremost we fell in the love with the idea of having text and visuals and being able to show internal thoughts of the various characters. We also wanted a way to train bystanders. There has been a lot of talk and research on how organizations can combat harassment, and training bystanders are the most impactful. We’ve also had the opportunity to speak with Jeremy Short, a professor at the University of Oklahoma who researches comic books as educational tools, and found that in his studies his students were able to remember text verbatim. Define the Line’s mission is to provide employees with the empowerment to speak up for themselves and for others and being able to have employees remember, verbatim, how they can respond, is something that really spoke to our mission. Visual storytelling through comics provides an engaging and non-intimidating way for team members to connect with and personalize harassment and the line of acceptable behavior. Science is amazing. It’s crazy fascinating and the ridiculously interesting discoveries made on a daily basis are mind-blowing. The problem is it can also be complex and heavy and challenging to understand or conceptualize for people who aren’t working in the thick of it daily. Which is why there is a growing movement of scientific art projects, which work to bring science to life for non-scientists through images, video, comics, and photos. 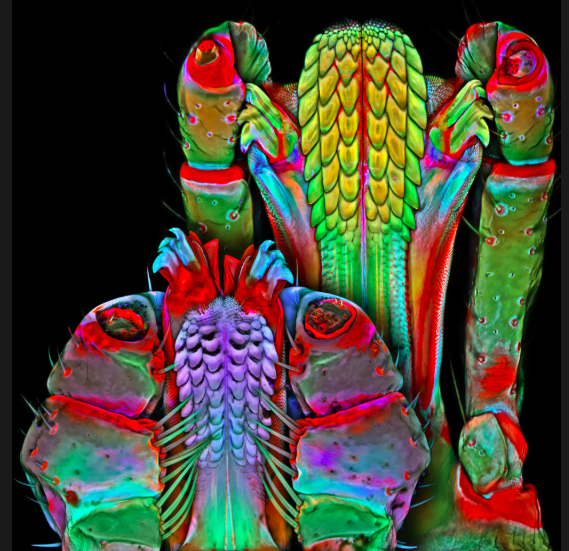 Biocanvas curates stunning science-art images to help make scientific concepts more approachable. You might even want to hang some of these images on your wall, they are so striking. They even make ticks look good. These brain scans will take your breath away. This artist brings scientific concepts to life through her images. When I first saw this image it made me want to throw up. It’s powerful, raw, and harsh. 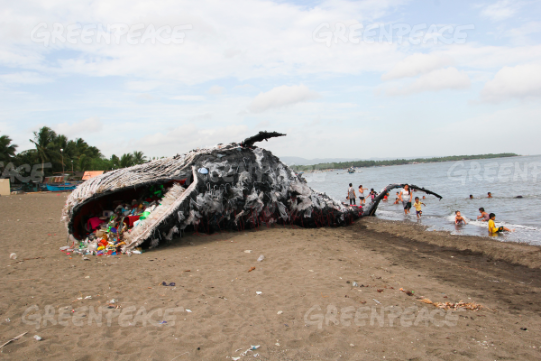 And it’s extremely effective to translate the damage our overuse of plastic does on the environment and its creatures. 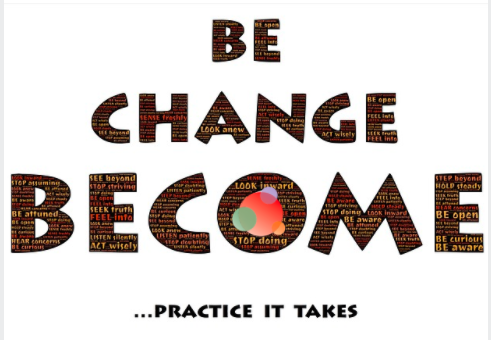 Environmental issues are one of a host of causes which are often hard to engage people on. Why? The damage being done to our environment rarely directly affects our day-to-day. We might conceptually know it’s bad. But until we can translate it into a real-life “hold it, touch it, see it” type of a problem, it’s easy to sweep it aside. And then we stay busy with the triage issues bombarding us now. That’s just human nature. It’s also why it’s incredibly effective to bring the damage to life through visual content. 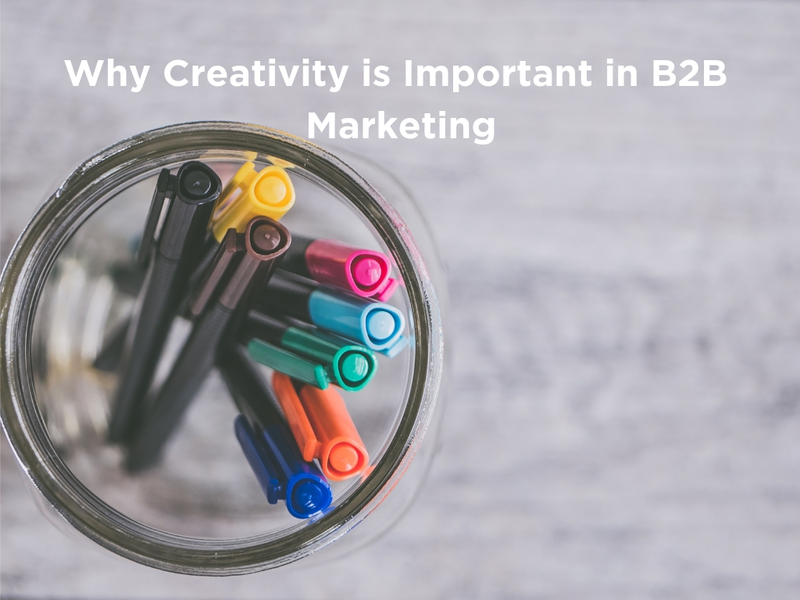 The next time you face a messaging obstacle, brainstorm how you can find a creative visual way to overcome it.